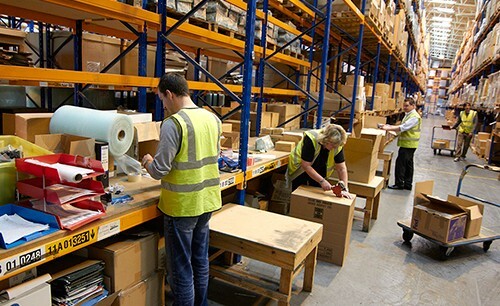 To meet the needs of businesses selling on line, Ecopac has developed a packaging fulfilment service to pick, pack and despatch customers’ products. Products are delivered in bulk to the Ecopac contracts building at Westcott where they are held in stock. Online orders are then forwarded to the Ecopac team and the goods are then picked, packed and despatched to agreed timescales. UK and international couriers are used to ship the goods at pre agreed rates.